Over time, your body produces less collagen, the protein responsible for keeping your skin firm and elastic. This, along with the effects of gravity, causes the skin to sag, creating an older-looking appearance. If you wish to have the fuller, more lifted cheeks you once had, Dr. Jonathan Grant, M.D., F.A.C.S., can help. The board certified facial plastic surgeon offers several cosmetic options to enhance the appearance of sagging cheeks and overall facial appearance. Learn more about these treatment options in this blog post. Facelift is a facial rejuvenation procedure that addresses various aging concerns, including sagging cheeks. During the procedure, Dr. Grant makes several small incisions to access the underlying facial tissues and lift them to a higher and more youthful position on the face. He will also re-sculpt or redistribute the fat as needed for a smoother appearance. Next, he will re-drape the skin over the facial contours and trim loose, excess skin. Following the facelift, the cheeks, appear lifted, contributing a more youthful facial appearance and well-defined facial features. While facelifts address loose, sagging skin on the cheeks, it does not restore volume that has been lost over time. Injectable fillers are a great solution to help restore fullness to sunken or hollowed-out cheeks. Dr. Grant injects the dermal filler products strategically into the facial skin to achieve the desired effect, whether it’s fuller cheeks or higher cheekbones. Some patients may opt for a fat transfer procedure over dermal fillers to replace volume. Minimally invasive fat transfer procedures involve removing fat cells from one body area and reinjecting them into an area of the face such as the cheeks. Results with fat transfer are longer-lasting than with dermal fillers. 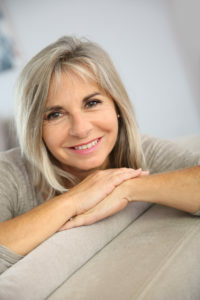 For this reason, some patients may choose to start off with a dermal filler treatment and then undergo a fat grafting procedure when they are confident of the results they desire. In some cases, Dr. Grant may recommend combining these treatments in order to achieve the most desirable results. He can discuss your treatment options during a personal consultation and upon evaluating your aesthetic needs and goals. To learn more or to schedule your appointment, please contact our Mt. Vernon office today.